Last April HBO launched one of its newest series, the Mike Judge-produced “Silicon Valley,” documenting the “wacky” experiences of workers in Northern California’s famed tech center. This, and movies like 1999’s “The Pirates of Silicon Valley,” are simply two examples of how Hollywood has mined the research area for humor and pathos. Originally established in the 1950s as Stanford Industrial Park (SIP), the area cast a long post-WWII shadow over the fusion of science, industry, academia, and government. “In an age when governments, businesses, and universities all sought to encourage science-based research and development, people from around the world recognized Stanford’s industrial park as exemplary in facilitating technological innovation,” noted historian John Findlay. 1Silicon Valley became synonymous with technological innovation, such that newer rising areas like Los Angeles’ Westside — Santa Monica and Venice where Snapchat, Google, and others have set up offices — have been dubbed Silicon Beach, or in case of late 1990s New York’s where tech businesses flourished in Manhattan, Silicon Alley. 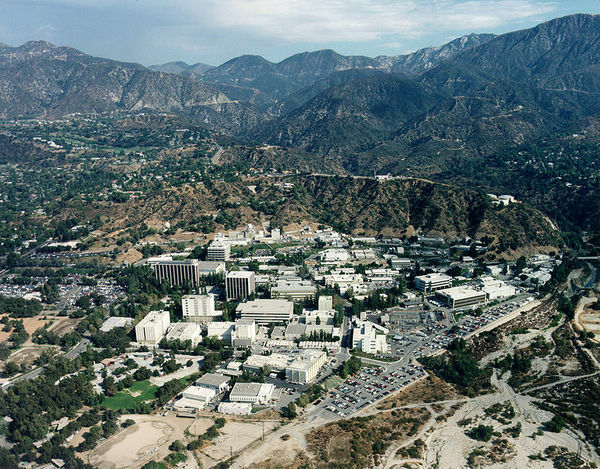 While certainly true, Pasadena, and more specifically Caltech, go much further back and helped to shape the merger of industry, science, and government that Silicon Valley and others now epitomize and promote. Yet it did so within an early twentieth century Los Angeles, interacting with white Midwestern newcomers, evangelical Christians, occult practitioners, and emerging science fiction writers. If one searched for a noir Silicon Valley, he or she could do no better than Caltech and Pasadena. Of course, municipal leaders across the state saw dollar signs and economic development through the military. As Roger Lotchin documented in his 1992 work, “Fortress California, 1910-1961,” mayors and elected leaders in San Francisco, L.A., and San Diego pursued military investment with fervor. Though we often think of the Golden State as a vista of wilderness, surf, and urban nightlife, the military has long stood at the heart of its development. “California was already disproportionately urban, its southern sector was rapidly outpacing its northern counterpart, and its suburbs were everywhere mushrooming,” Lotchin reflected. “The military occupation of the largest state on the Pacific Slope did not alter these fundamental relationships.” 6 In this way, Hale adjusted to the prevailing economic and political winds of the day. “This is the California where it is possible to live and die without ever eating an artichoke, without ever meeting a Catholic or Jew,” wrote Joan Didion in 1966. “This is the California where it is easy to Dial-A-Devotion, but hard to buy a book.” 11 Though Didion was talking about San Bernardino Valley in the mid-1960s, early 20th century Los Angeles too dabbled in a certain Christian fundamentalism, even if one would be more likely to interact with Jews and Catholics in the Protestant “White Spot” of the West Coast than mid-century San Bernadino. 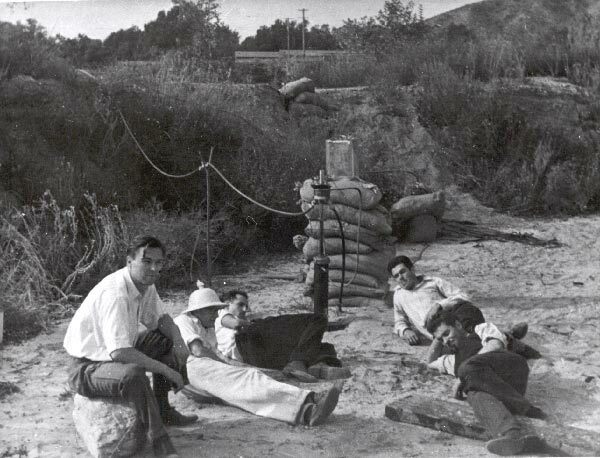 Caltech leaders, dedicated to the kind of books Didion suggested remained absent from Southern California, understood the evangelical religiosity of many of their fellow Angelenos. Then again, if Millikan and Caltech worried about rubbing L.A.’s evangelicals the wrong way, it unwittingly inspired others to new metaphysical heights. 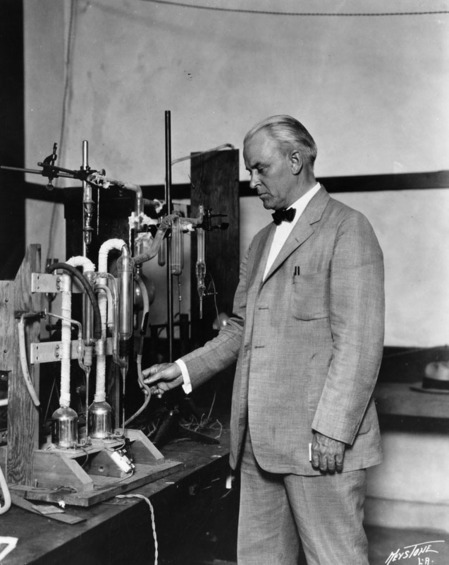 “Science is the first assistant Messiah inspiring many a sect,” Farnsworth Crowder reflected. “What psychology will not supply can be lifted from the physical sciences. Einstein, Michaelson, Millikan and company are unwitting contributors.” The Rosicrucians, Theosophists, Church of Psychic Science, and the Metaphysical Science Association, among others, embraced the dual rise of metaphysics, quantum mechanics, and psychoanalysis. These groups filled in the gaps that an “alternative science fiction milieu of the 1940s” would later address, thereby mediating between science and theology. Parsons continued in this manner until 1945 when he bumped into a young Naval officer who shared his fascination with science fiction and metaphysics. Lt. Commander L. Ron Hubbard, a recognized science fiction pulp writer at the time, charmed Parsons, who incorporated Hubbard into his occult as both guest and sorcerer’s apprentice. Hubbard drank from the spectacle of ritual — “the occult dramaturgy and incantatory skills” so prevalent in Parson’s religious practice — eventually deploying them in the performative aspects of what would become Scientology. In the end, Hubbard repaid Parsons for his mentorship by sleeping with the scientist’s mistress, setting off a complex chain of events that eventually resulted in Parson’s demise when he blew up his mansion in 1952. 14 Hubbard went on to controversial international fame, and Scientology persists to this day. 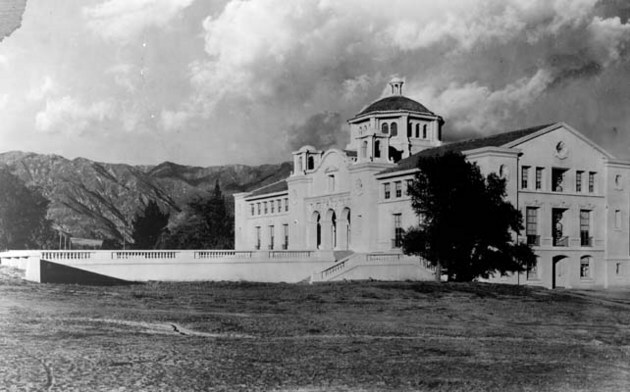 Undoubtedly, the circumstances of Caltech’s rise remain unique to Los Angeles and the time period, but clearly the merging of science, industry, and government, along with the idea of research parks, often labeled “research triangles,” pulsated through American 20th century history. While the planners behind SIP, or even North Carolina’s research triumvirate — the agglomeration of Duke, UNC, and N.C. State’s scientists and facilities — never endorsed the kind of racialized spectre of an Aryan Pacific Coast like Millikan, their efforts did have demographic effects. In Silicon Valley, metropolitan development resulted in class divisions as production workers in tech industries — more often women and minorities making less money than their white collar counterparts — lived further and further from employment, finding themselves “driving to and from their jobs over long distances in formidable congestion.” Pollution too emerged as a problem. By 1987, Santa Clara county led all counties across the nation in toxic waste, as nineteen superfund sites called the region home. 15 More recently the influx of wealth from Silicon Valley into nearby San Francisco has caused no small amount of anger and class-based friction. Even Dom from HBO’s “Looking” series denounced the tech newcomers in an early episode. “I hated them in the ’90s and I hate them now,” to paraphrase the fictional wannabe entrepreneur. 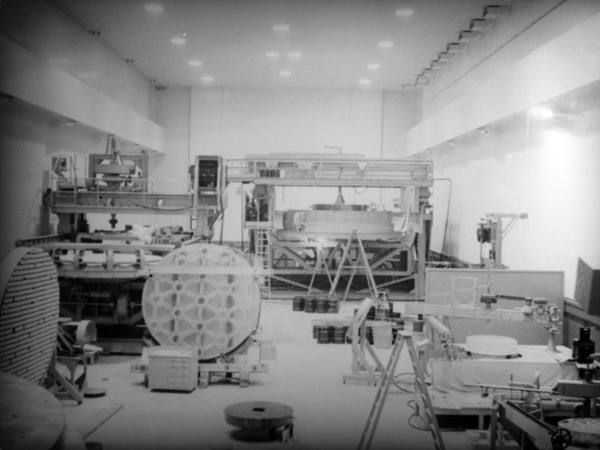 Boosters may have succeeded in cultivating scientific industry in Silicon Valley and the Research Triangle since the 1950s, but their vision of a lilywhite future was not to be. Indeed, considering the large presence of East Asian and South Asians within the scientific workforce, the arguably two most famous American research parks of the early 21st century retain racial and ethnic diversity that would have horrified Millikan. As documented by Chang, currently Pasadena hopes to reassert its position in tech conversations of the moment. However, its history and influence reaches farther back than 1990s start-ups. While today it might struggle to gain the kind of attention that its Westside neighbor, Northern California competitor, or southern East Coast counterpart enjoy, it played a key role in the development of each, and did so in the most Southern California of ways. 1 John Findlay, Magic Lands: Western Cityscapes and American Culture after 1940, (Los Angeles: University of California Press, 1992, pg. 118. 4 Mike Davis, City of Quartz: Excavating the Future in Los Angeles, (New York: Verso, 1990) pg. 55. 6 Roger Lotchin, Fortress California, 1910-1961: From Warfare to Welfare, (Champaign, IL: University of Illinois Press, 2002) pg. 54. 7 Mike Davis, City of Quartz, pg. 56. 11 Joan Didion, Slouching Toward Bethlehem, (New York: Farrar, Straus, and Giroux, 1968) pg. 4. 12 Mike Davis, City of Quartz, pgs. 57-58. 15 John Findlay, Magic Lands, pgs. 155 – 157.